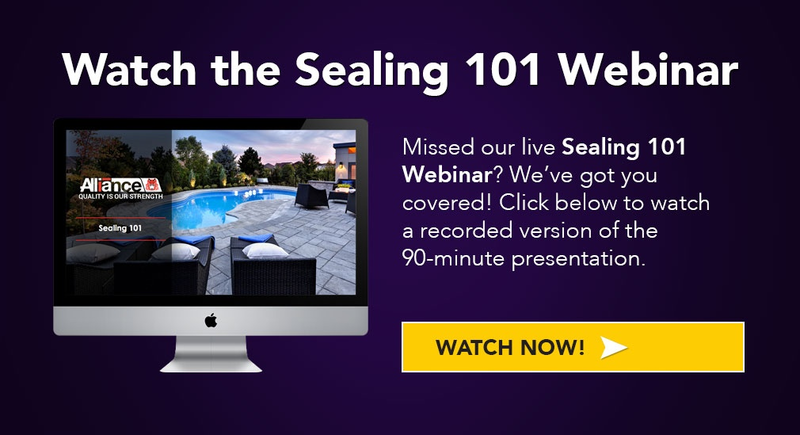 On Tuesday, September 19, we hosted our Sealing 101 Webinar. During the 90-minute presentation, we received lots of really great questions from our attendees. In this blog post, we’re going to share the entire Q&A plus the poll questions that were used during the session. What lasts longer … a solvent-based or water-based sealer? Solvent-based sealers will generally last longer than water-based products. How often does a sealer need to be reapplied? 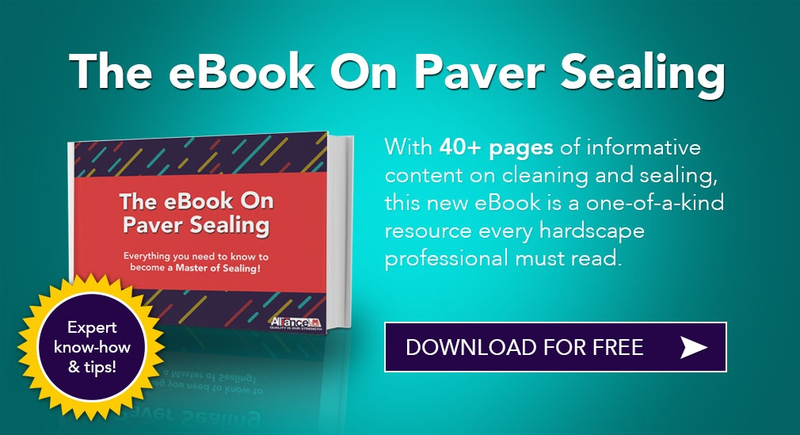 While each circumstance will vary based on traffic, location, general wear and tear, etc., sealer can typically be reapplied every 2-5 years. What is the ideal temperature range to install sealers? A surface temperature of about 80 degrees is usually ideal. There are a lot of types of sealers that you went over. How do you determine which one to use? We always recommend leaving the final decision up to the end-user. As the contractor, you should listen to what your client is looking to achieve and then help them narrow down the products that are best suited for the job. If your client is looking for gloss or color enhancement, be sure to show them a sample of what the sealer will look like on their particular application (and have them sign off on it). How vital is sealer to joint sand stabilization? How much does a sealer add to the lifespan of the joint sand? If I’m resealing a patio, do I still need to use an efflorescence cleaner? Yes! Efflorescence cleaning should be performed on every sealer job no matter what. It will help remove dirt and debri from the surface. It will enable a deeper penetration of the sealer. An efflorescence cleaner will also slightly etch the surface of the pavers, which will allow the sealer to bond correctly. For more details on this topic, check out our blog post Why You MUST Use An Efflorescence Cleaner Before Sealing Your Pavers. Some manufacturers have breathable sealers that they claim allow efflorescence to dry through to the top. Thoughts on that? If a sealer can truly allow particles as large as salt grains to escape to the top, chances are it will not perform all that well as a sealer. Will efflorescence cleaners remove other types of organic stains? Can efflorescence cleaner harm the sealer’s finish? An efflorescence cleaner will cause some accelerated wear but it will be very minimal. It will depend on how potent the cleaner is and how aggressively it was applied. What’s the coverage for Natural Stone Sealer? Depending on the type of stone you’re working with, the absorption of the sealer will differ from one material to the next. This will have a direct impact on your coverage rate, color enhancement achieved, and the longevity of the sealer. What do you do when the sealer turns white? If your sealed surface turns hazy or white, it’s most likely due to excessive moisture. If the problem is ongoing, any fix will only be temporary. The cause of the moisture needs to be addressed before addressing the sealer. We just resanded a patio with Alliance polymeric sand. How long should we wait before applying a wet-look sealer to this patio? You want your pavers and joints to be completely dry before applying any type of sealer. This will depend on climate, weather, etc. The longer you can wait, the better. However, a good rule of thumb is at least 48 hours. Can I remove efflorescence with a pressure washer? No. In fact, pressure washing will often make an efflorescence problem even worse! Water-based sealer can be applied over a solvent-based sealer. False. Water-based sealer can NEVER be applied over a solvent-based sealer. A penetrating sealer can be used as a joint stabilizer. False. Topical, or film-forming, sealers offer joint stabilization. If I seal over efflorescence, I can clean it later on. False. Sealing over efflorescence will trap it underneath the surface. The only way to remove it at that point will be to strip the sealer first. You can use any type of roller when installing sealer. False. You should use a slotted roller when installing sealer. A slotted roller can soak excess sealer out of the crevices on textured pavers whereas a flat roller cannot.